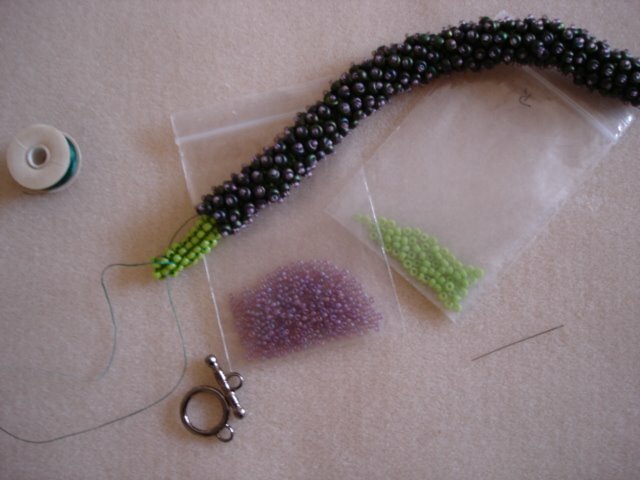 Have so very nearly finished my bracelet and have run out of the embellishment beads. Huh. Sadly, it's not quite long enough to go around my wrist, so I can't just finish it there and make do, either. I will email The Bead Merchant and request more but am sorry not to be able to be done with it this afternoon.